This project is not used many components so can assemble on the universal PCB board. But can make a PCB as Figure 2. 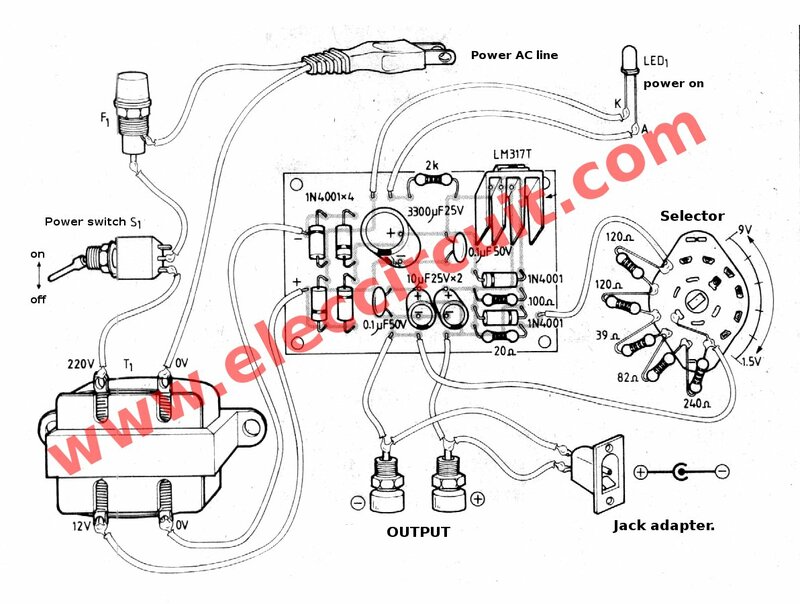 Then, the wiring for circuit wiring and various components can view of the example in Figure 3. What to look out carefully for is the polarity of the electrolytic capacitors and Diodes correctly. Pin of the IC is not an error. It’s easy and cheap as possible. Please find power supply switching on mysite better. 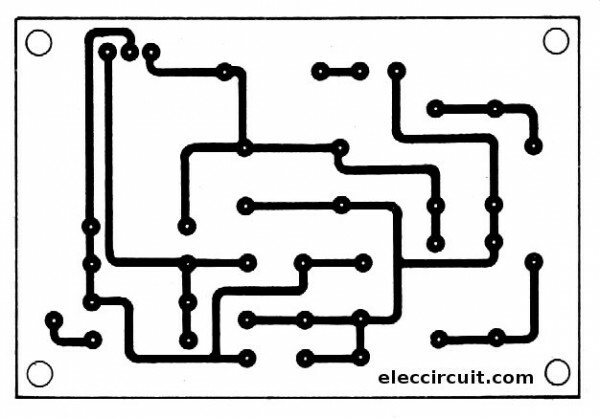 or get email news member You can always learn new circuits. Hi,thanks for your comment.your website is beter. can u give me a design and a pcb layout of short circuit protected power supply with IC that has a 5v as an output? LM317t have short circuit protection. On the circuit is correct. sir can u please suggest me a 5v dc to 1.5 dc converter? D6-1N4002 may be connected to the wrong polarity. or switch direct current to R-20 ohms. Hi there. I built a very similar supply for my self many years ago. Suggestion for you, make sure the selector switch is a ” make before break” type. If it is the more common break before make, then as you change the voltage selector from one setting to the next there is a brief moment when it is open circuit. This results in the maximum voltage being present on the output for a moment too. I destroyed a low voltage circuit on my unit ( maximum voltage 18v) switching from 3 to 4.5v You might need to shop around to find a make before break type. But I’m sure the bigger suppliers ( RS or Element 14, etc) will have them. Well worth the little extra money. the selector Switch can be replace by Potentiometer? The Selector Switch can be replace by a Potentiometer? Tengo una F.A variable con el LM317, de 1,7 a 27 vc., como sabemos nos da un máximo de 1,5,Amperios;como puedo hacer para agregarle más corriente (hasta 3 Amperios), se que se le puede agregar una resistencia y un transistor de potencia. Les estaré muy agradecidos por su respuesta. Can you post the list of all the parts? Thanks in advance!